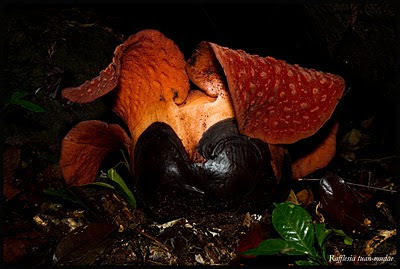 Gunung Gading National Park is located in the Lundu district about two hours drive from Kuching. 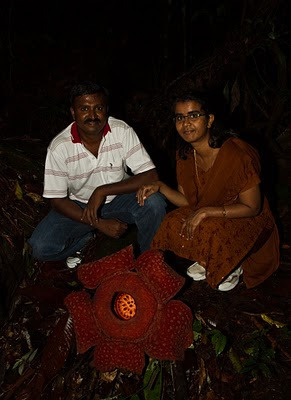 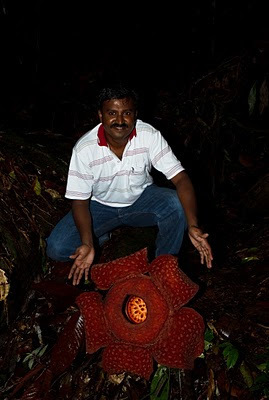 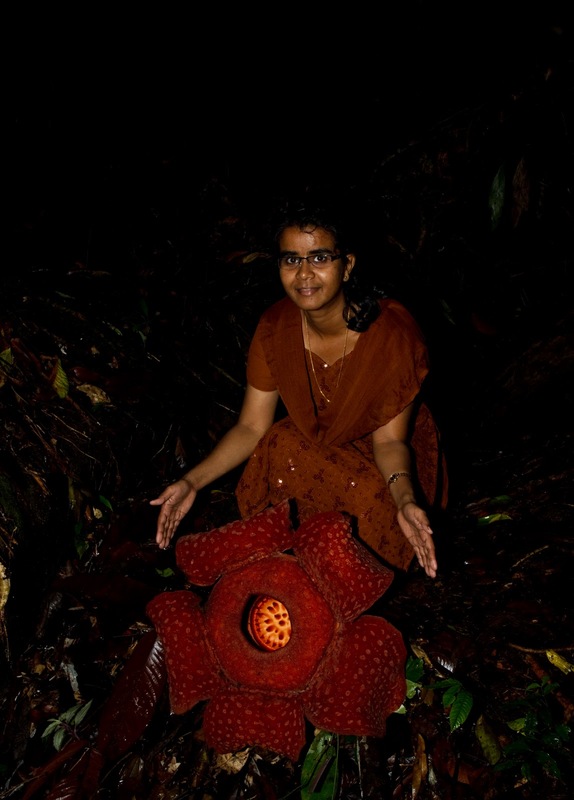 This national park is famous for the Rafflesia Flower which is the worlds largest flower. 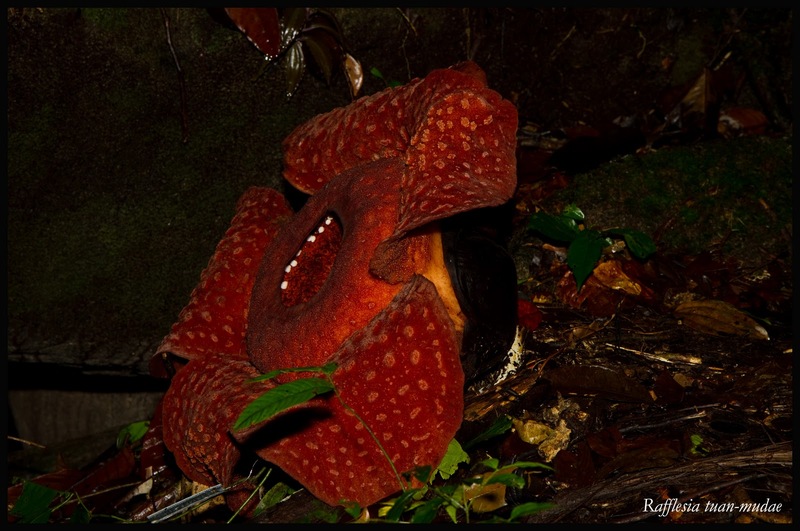 Rafflesia is a genus of parasitic flowering plants. 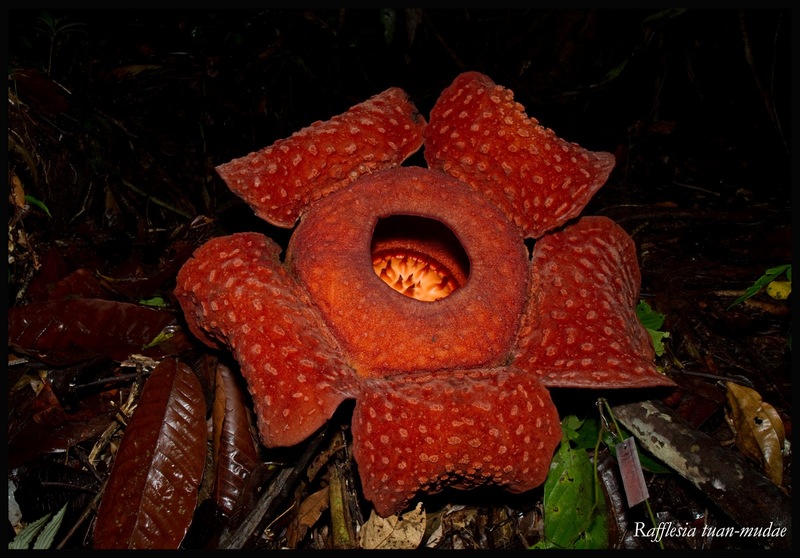 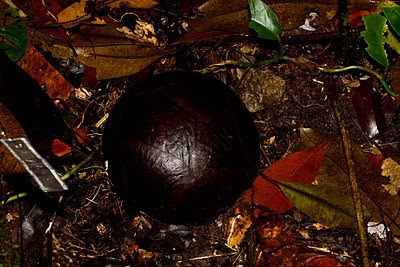 It was discovered in the Indonesian rain forest by an Indonesian guide working for Dr. Joseph Arnold in 1818, and named after Sir Thomas Stamford Raffles, the leader of the expedition.It can grow up to 3 feet or 1m in diameter and can weight 9kg. 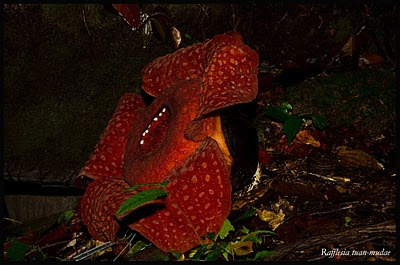 The flower emits a stench of rotting flesh and some even heat, mimicking a newly dead animal, to attract carrion flies, to help in pollination. 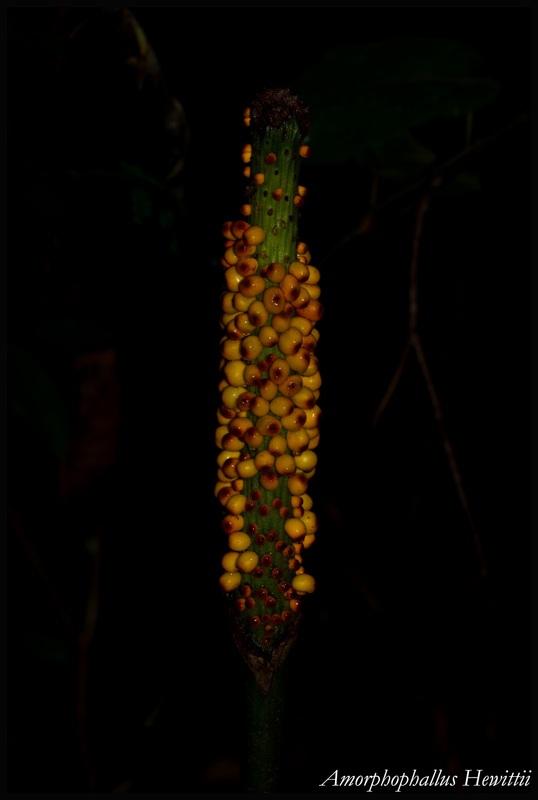 The plant itself is parasitic and grows within the stems of jungle vines. 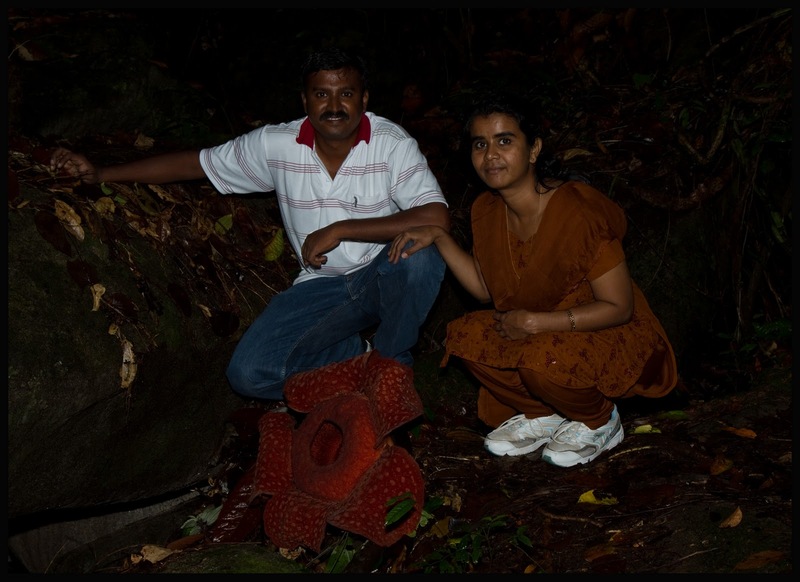 The Rafflesia is generally found at altitudes between 500 and 700 meters in the forests of Borneo, Sumatra and Java, Peninsular Malaysia and Philipines. 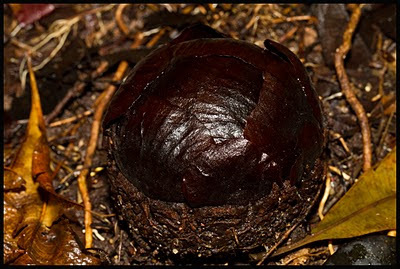 In this tropical rainforests the climate is continuously warm, generally between 24-27 C with humidity frequently reaching 100% at night. As Rafflesia is found in only a handful of localities, its long term survival is now seriously threatened by the the depletion of the Malaysian rainforest. 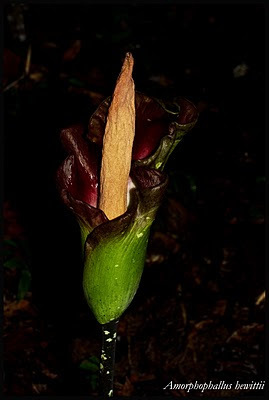 Amorphophallus are typical lowland plants, growing in the tropical and subtropical zones. This specimen is from Gunang Gading park and is most likely of the species Amorphophallus Hewitii. 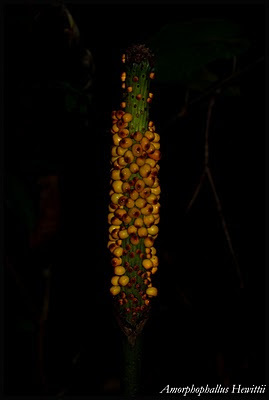 The inflorescence (flower) can grow very tall, and it emits bad smell in order to attract insects to pollinate its inflorescence.